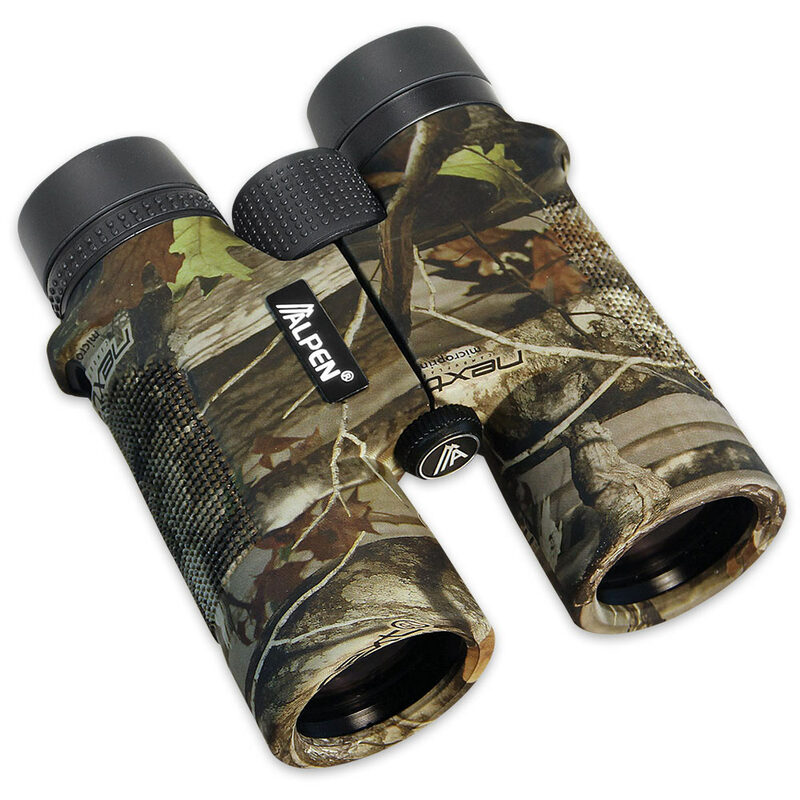 Alpen 10X42 Camo Shasta Ridge Binocular | BUDK.com - Knives & Swords At The Lowest Prices! Alpen’s high performance 10X42 Shasta Ridge Binoculars are fully waterproof, fully multi-coated, have long eye relief, and feature BAK4 optics that allow hunters, shooters, birders, boaters, and outdoor enthusiasts clearer, brighter viewing under all conditions. These binoculars meet the extreme all-weather needs of today’s active adventurers. The BAK4 optics give you clear, bright, high resolution images and the PXA phase coating gives you color fidelity. These binoculars are comfortable to use because they have a stylish and ergonomic design, twist up eye cups and long eye relief to give eyeglass wearers a full field view. They can also take what you dish out on your adventures because they have rubber armoring for protection and durability. You get soft rubber rain guards, a durable carrying case and a premium quality neck strap with the binoculars.